In 2016, Tri-Cast has reached another milestone in their history, it’s now over 35 Years since we commenced developing, designing, and manufacturing top quality, reliable Fishing Tackle. The key principles established at the outset, which are still paramount in the Company’s strategy and will remain so of Design, Quality, and Technical Performance and not least of all maintaining Exceptional Value for Money. All of these principles make Tri-Cast after 35 years, still stand head and shoulders above their competitors. 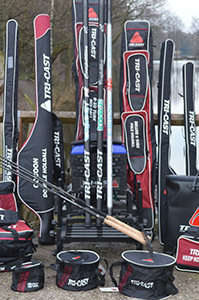 2016 sees another new year in which Tri-cast have taken products to another level, which surpasses anything we have ever achieved before. Our Achievements reached over the past 35 years of manufacturing totally in the UK have been nothing short of spectacular. Without fear of contradiction what Tri-Cast has to offer the angler is not only the very best in Design, but proven Performance, Finesse, Power and reliability throughout our whole range of Carbon Fibre Rods and Poles. Each year we strive, and clearly succeed, in improving the range and performance of our products. 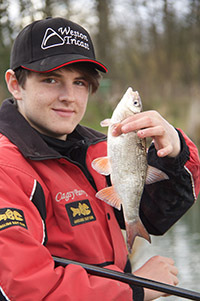 As angling venues, methods and demands of the modern angler are constantly changing, we have to react as a company and move products onto the next level. This is even more evident with our present range of products, as the only way you can satisfy these demands is by incorporating both New Materials, Technology as well as our latest Manufacturing Processes. These key qualities are only available to us, as a result of the company’s diversification and technical innovations, used in its other industries we supply such as Aerospace, Formula 1etc. These industries are two of many who demand the latest materials and process technologies are used in their products. What this also ensures is that each member of our staff, continually work to very rigid material and product specifications, and Quality Control Standards. Our Engineers work closely with both our Angling Consultants and sponsored teams to ensure we keep our ‘finger on the pulse’ as well as maintaining our established position at the forefront of Material Technology and Product Design. We are constantly striving to improve our range year on year, what Tri-Cast do now the rest of the industry attempts to follow, but we all know that’s not easy unless you have our Materials and process technology. We welcome you to join us in 2016 to browse through our dedicated Website, detailing our full product range for the forth coming season. You will clearly see and appreciate the technological advances every Rod, Pole, and Accessories we have on offer as well as the added benefit of being Such Excellent Value for Money.